I just noticed the Developer Story tab and was trying to setup my profile there out of curiosity, but I'm already stuck at the first step. The first thing is about filling the "Personal tech stack". My thought was that this is equivalent to SO tags, and I could just enter the tags where I've had most activity. 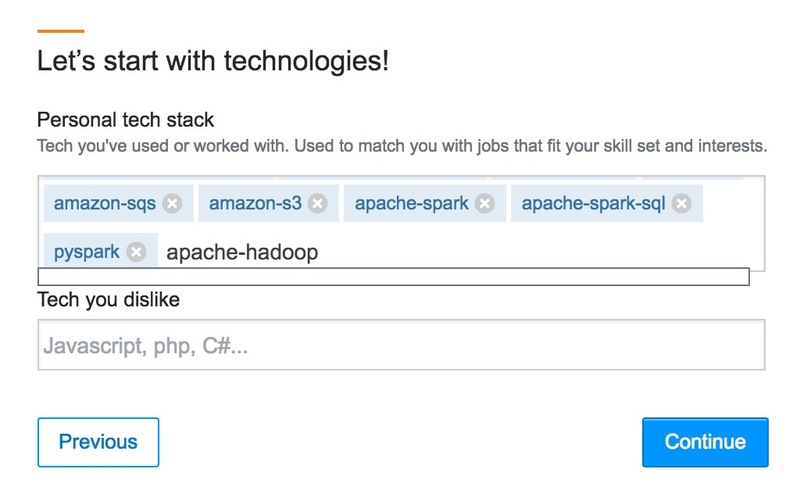 But obviously this is not the case, because I'm unable to enter the tag where I've had most activity (hadoop). See below for an example of what is being proposed to me when I type hadoop in the box. None of these are actually the hadoop tag. If I just press space to consider it a new tag, it just gets erased. 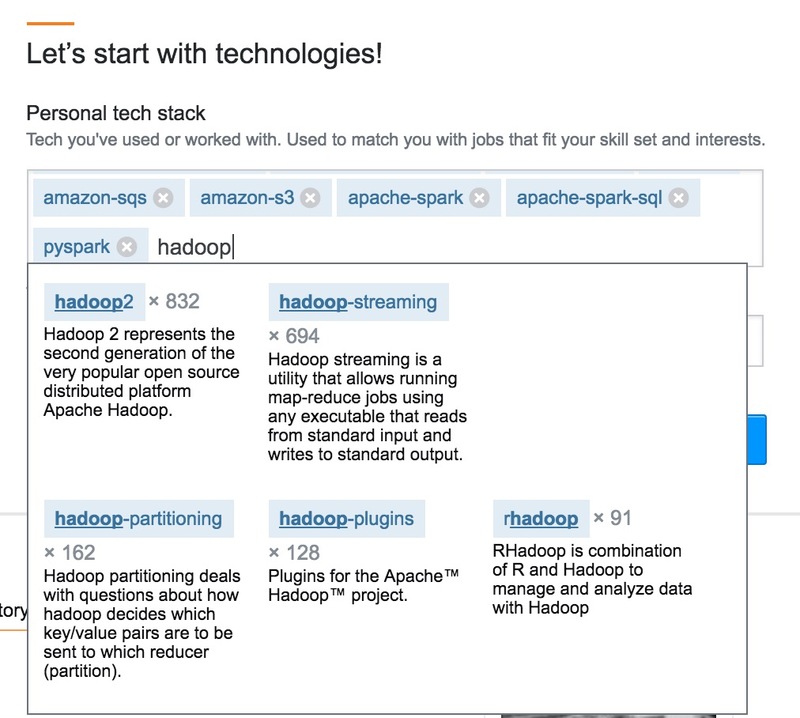 There is hadoop2, but it has very low activity so not sure why it's being chosen over hadoop. The interesting part is that if I try to enter a tag which for some reason doesn't bring anything in the list, I can then press space and then it will be accepted and not erased. For example, if I enter apache-hadoop it doesn't show anything matching in the list, and I can press space to have it accepted. So, this issue seems to be only happening in cases you try to enter a tag which brings at least 1 entry in the list. Am I doing something really wrong and not understanding how I'm supposed to enter tags here, or is this a bug? It's also unclear how it chose to pre-populate a few tags initially yet omitting the ones where I've had most activity. Browse other questions tagged support tags developer-story . Should I make a post about retagging if I can (and have) handled it as a sanity check for mods? What tag to use for question in a new programming language?